The design styles Currey & Company produces is broad. From traditional and transitional to mid-century and modern, we do manufacture something for almost everyone. When we blog about modern offerings, we file the post under this tag. Some of our newest contemporary designs we have featured here include the Astrid Pendant with its luminous aqua blue glass shade designed by Denise McGaha. The entire new collection by Barry Goralnick is architectonic. The simple elegance of the Latimer Pendant is a good example, as this clean-lined beauty made of milky white glass and metal that has been treated to a polished nickel finish is the very definition of modern. The thin metal cables that connect the Latimer to its canopy complete the feel of straightforward sophistication. His Blodgett Swing-Arm Wall Sconce is so serene thanks to the elements that come together to create its bearing. The graceful shape is ornamented with luminous turquoise colored glass. 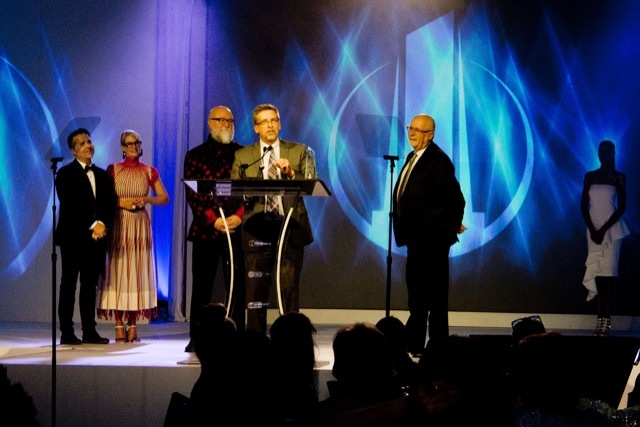 Cecil Adams, Bob Ulrich and Tom Caldwell accept the ARTS Award for the chandelier category during Dallas Market. We’re in the thick of awards season, the Golden Globes a recent memory and the Oscars ready to be handed out on ABC in just a little over a month (that’s March 4, 2018, in case the date has slipped your notice). We’re seriously proud to note we’ve landed an award of our own during Dallas Market last week—our lighting design team took the honors in the chandelier category. Marjorie Skouras standing beneath her Agave Americana Chandelier. The product submission that put us over the top for all of our chandelier designs was the Agave Americana designed by Marjorie Skouras. It is indeed representative of our focus on inventiveness, quality and creativity. In fact, the Agave Americana has been a super popular fixture since it was introduced, the standout in the Marjorie Skouras Collection reflecting the designer’s avant-garde sense of creativity and our ability to bring a visionary’s ideas to life. Marjorie is fitting for a mention during this dynamic time in Hollywood’s seasonal cycle because she was in the film business for 17 years before she followed her passion into interior design. 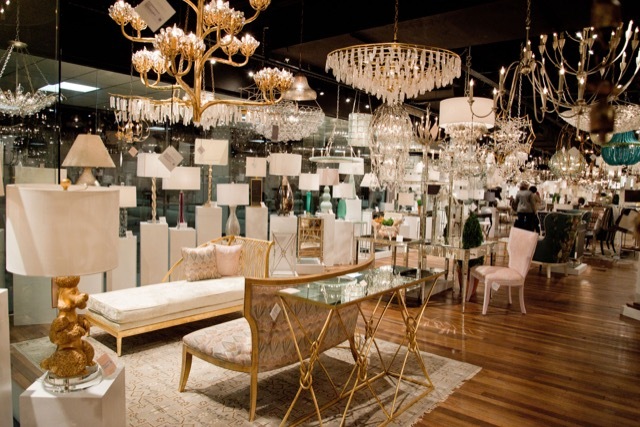 Many of our award-winning chandeliers, including the Agave Americana, sparkle in our Dallas showroom. Proving she is always on the look-out for the next adventure, Marjorie and her husband recently moved into a restored Art Nouveau mansion in Merida that is a listed historical monument on Mexico’s Yucatan peninsula. It will also hold a new boutique, La Malaquita, and a design studio that will feature products made by area artisans with local materials. 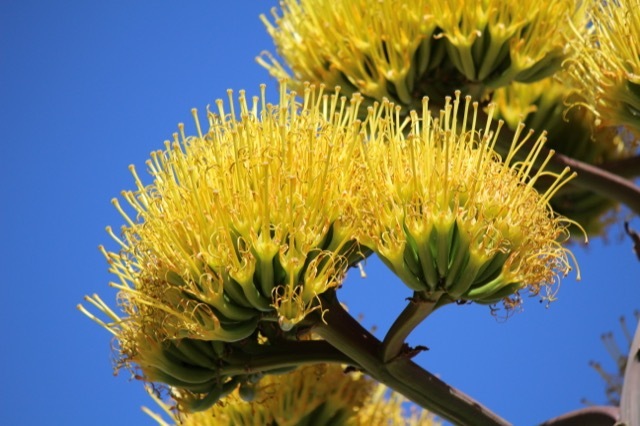 A blooming Century plant captured by Puchku, courtesy of WikiMedia. She says of our collaboration with her, “The venture with Currey & Company has allowed me to reach a broader audience, as well as to work in new mediums. I share a unique vision with Currey & Company that allows for the creation of both beautiful, unique, eye catching pieces.” Case in point, of course, is the Agave Americana, which was inspired by the Century plant of the American desert. You can see from the lovely image of the Century plant in bloom above that the crystalized light emanating from the fixture echoes the luminosity so well. We also offer the Agave Americana in a wall sconce. Denise McGaha during the ARTS Award evening, flanked by Nancy Price on the left and Abby Price on the right. During Dallas Market, we also celebrated our upcoming Denise McGaha Collection, which will debut in High Point this coming October. We’ve been working on this collection with our former Brand Ambassador for the past two years and can’t wait to reveal the lighting and furniture designs that have sprung from her sophisticated sensibilities. You can see the articulate and beautiful McGaha in the video below, which was filmed during the last spring Market in High Point. Might we say there will likely be awards to come for this dynamo? 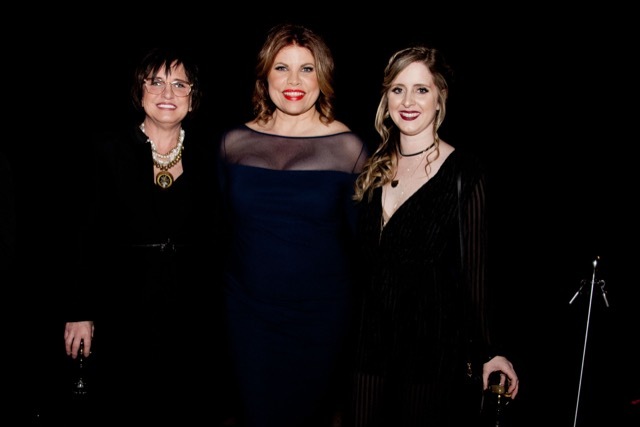 These two spirited women we have among our design talent at Currey & Company are so on point as we celebrate the latest crop of film stars nominated for their work. 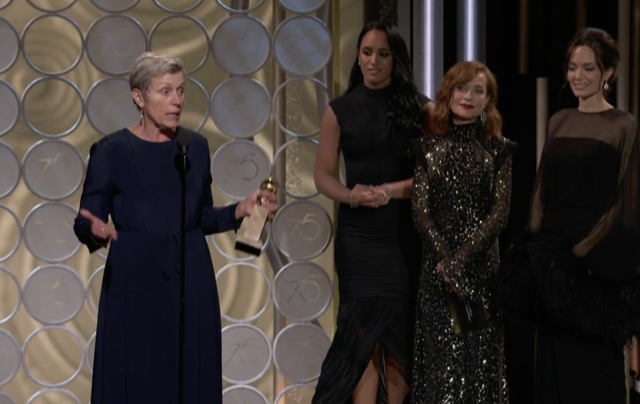 Case in point is Frances McDormand who won the Golden Globe for the Best Performance by an Actress in a Drama for her role in Three Billboards Outside Ebbing, Missouri. Another strong role was played by Saoirse Ronan, who took the Globe for the Best Performance by an Actress in a Musical or Comedy for Lady Bird, beating out industry icons Dame Judi Dench, Helen Mirren, Margot Robbie and Emma Stone. Which of these will be receiving awards when the Oscars debut? 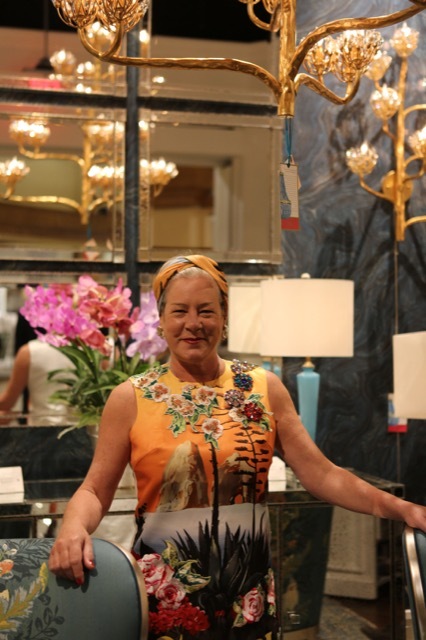 Our Ms. Poodle lamp, which perches on its pedestal in our Dallas showroom, is a golden new addition to our Phyllis Morris collection. Speaking of things that bloom in the American desert: we hope you will join us during Las Vegas Winter Market, which opens this Sunday, January 28th. We’ll be showing off our latest and greatest products through February 1st in Building C, Suite 398. If you’re in town, be sure to stop by on Monday, January 29th, from 3 to 6 p.m. We’ll be looking back to Hollywood and its awards, this time paying homage to the legacy of Phyllis Morris, whose eponymous new Phyllis Morris Collection will be on view. You can also meet the famed trendsetter’s daughter, Jamie Adler, who never tires of dishing about the fascinating life she shared with her extraordinary mother. 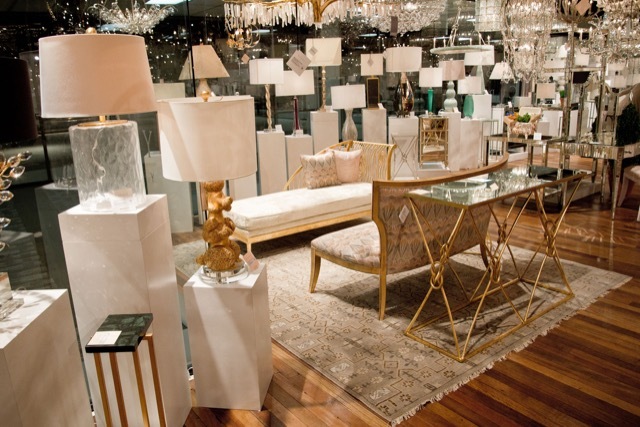 If you stop by the event, you can sign up to win one of our sassy editions of Ms. Morris’s famous Poodle table lamp, which is shown in our Dallas showroom above. We hope to see you at the Antiques & Garden Show Nashville. 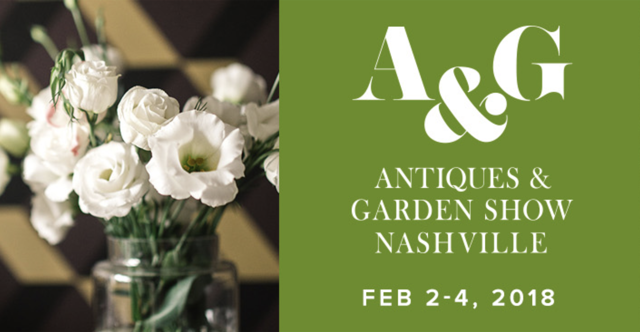 And last but not least, we’ll be in Nashville for the Antiques & Garden Show from February 2 through 4 so stay tuned to our Instagram feed for snapshots of the beauty we’ll be seeing there. As I leave you today, I’m curious to know which actors and actresses you’ll be rooting for as they make their way along the red carpet this year. 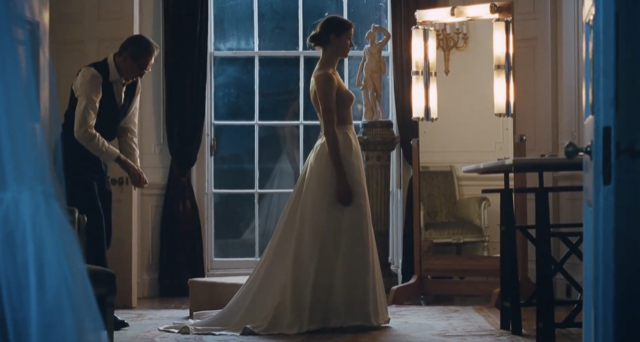 I for one am truly saddened that Daniel Day-Lewis says Phantom Thread will be his last film. He’s nominated in the Lead Actor category for the film, which has also received nods for awards for Best Director, Best Supporting Actress, Best Original Score and Best Costume Design. I found it fascinating that Day-Lewis actually learned to sew in preparation for this role, apprenticing under Marc Happel, who is the head of the costume department at the New York City Ballet. He then decided he needed to recreate an iconic piece of couture on his own to truly understand the process. He chose a Balenciaga sheath dress that he says looked very simple but was “incredibly complicated.” Take a moment to read the full interview published in W Magazine because he reveals other juicy details about how he prepared for the role. “There is nothing more beautiful in all the arts than something that appears simple,” he told Lynn Hirschberg, who wrote the piece. “And if you try to do any goddamn thing in your life, you know how impossible it is to achieve that effortless simplicity.” Given how devoted we are to excellence in design, these are words to live by, which helps us glean the awards we feel so fortunate to be given! 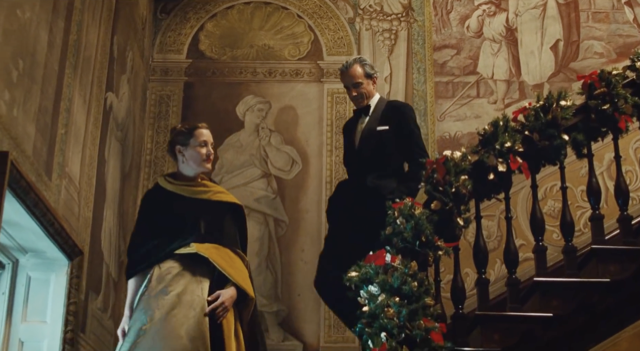 Daniel Day-Lewis looks comfortable in his role as a fashion designer after preparing to play Reynolds Woodcock. This entry was posted in Currey & Company, Market, Products and tagged Chandeliers, console tables, design influencers, design trends, Events, Gold, Mid-Century, Modern, seating, Wall Sconce on January 25, 2018 by Saxon Henry.